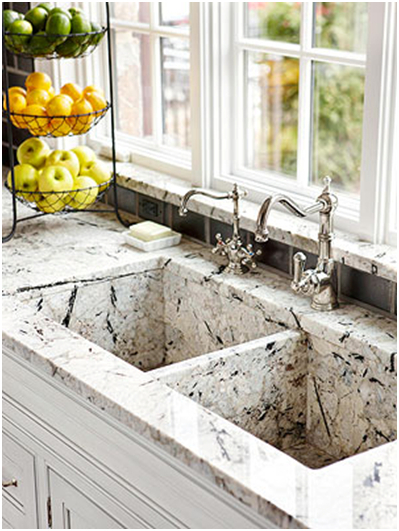 Having trouble deciding between granite and quartz for your countertops? We take a look at the pros and cons of each to help you make the choice that's best for your needs. When choosing countertops for the kitchen or bathroom, most homeowners prefer the look of granite or quartz SLAB material. Large SLAB countertops give a solid, elegant, smooth countertop look with minimal or no seams (depending on the size & shape of your countertops). Use this simple guide to discover which of these beautiful materials is right for you. 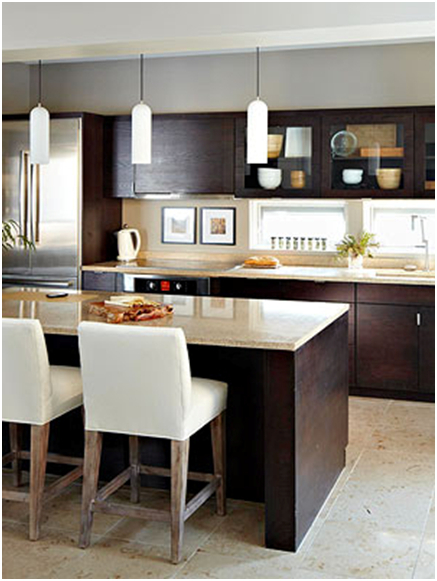 Appearance: As with any material, the visual differences between granite and quartz are a matter of taste. Natural stone, such as granite, marble, limestone, travertine, soapstone and sandstone offer a nearly endless array of unique colors and patterns and are some of the most popular countertop materials on the market. Natural stone varies in color and pattern, which means that no two slabs are exactly alike. We recommend that our clients hand select the specific slabs they would like us to fabricate for their project. Engineered Stone or Quartz products are manufactured composites that are made from natural quartz (about 90% - 93%), and the rest resins and fillers (7% - 10%) that replicates the look of natural stone and have been growing in popularity over the last decade. Quartz products offer more consistency in color and pattern and also offer solid colors. Other people prefer the natural and unique look of granite. Durability: Granite is often cited as the most durable natural countertop material available and is known for resisting cracks and chips. As a manmade material, quartz rates a bit higher on the hardness scale and is slightly more resistant to damage. Maintenance/Repairs: With proper re-sealing or by opting for our “Permanent, Maintenance-Free Sealer”, granite is very resistant to stains. Minor scratches or dings in granite can be filled in with color-matching epoxy or resin from the home improvement store, but professional installers should repair cracks larger than an ice cube. Quartz is a nonporous material, which allows it to repel coffee, oil, and even food coloring without sealing. Damaged quartz is trickier to repair and should always be done by a professional. Installation: Both granite and quartz should be installed by a professional. They are extremely heavy and difficult to handle, fabricate and cutting holes for sinks, cooktops and faucet holes is no easy task. If you can't decide between granite and marble for your countertops, take a look at this list of differences to help you choose the material that's right for your needs. When choosing countertops for the kitchen or bathroom, many homeowners prefer the look of natural stone, which offers a nearly endless array of unique colors and patterns. Granite is one of the most popular countertop materials on the market and a popular choice for modern or traditional houses. Marble is synonymous with luxury and is a classic choice for high-end homes. Use this simple guide to discover which of these beautiful materials is right for you. Appearance: As with any material, the aesthetic differences between granite and marble are a matter of taste. 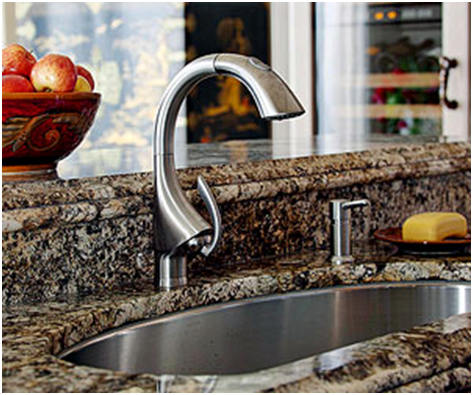 Some people prefer the natural look of granite, which comes in a wide range of colors and patterns. Others like the elegance and veining of marble, which is easily recognizable and most commonly available in black or white. Durability: Granite is often cited as the most durable natural countertop material available, and is known for resisting cracks and chips well. Hot pots can be placed directly on the countertop, you can cut right on the surface without damage, and spills wipe away easily. Like granite, marble is very strong and resistant to damage. However, it can be etched by anything acidic and is much more porous and will stain easier than granite. Our Permanent, Maintenance-Free Sealer is highly recommended for all types of natural stone. Maintenance/Repairs: With proper re-sealing with standard sealers or the application of our Permanent, Maintenance-Free Sealer, granite is very resistant to stains. Minor scratches or dings in granite can be filled in with color-matching epoxy or resin from the home improvement store, but professional installers should repair cracks larger than an ice cube. Minor damage to marble can be repaired similarly to granite, but bigger problems also require professional help. 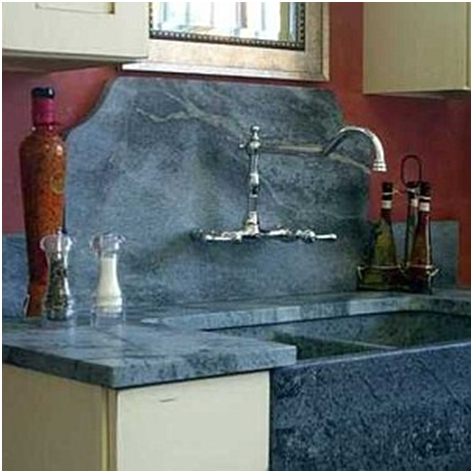 It's little wonder that soapstone countertops are becoming a more popular choice for homeowners across the country. It's a completely natural surface that has a lot of distinctive benefits that you won't find in rivals such as marble, quartz and granite. Along with these amazing benefits also come various cons that you should know about before taking the plunge and making an investment in a new counter. Durability: Mother Nature has put her best into producing this rock that is available in varying degrees of hardness. The softest type is used for sculpting while harder stone is used for tables, kitchen work surfaces, wood burning stoves, tiles etc. If you took a chemistry class back in high school you would have been working on a soapstone lab table since it's pretty much impervious to most types of liquids and chemicals. If you go back and visit your high school classroom you'll probably see the same tables in place that you were using years ago. Durability is one of it's biggest bragging rights and it's common to see soapstone stoves and sinks that were manufactured in the 1800s still being used today in the northeast section of the United States. If you decide to purchase one for your kitchen work surface you can consider it to be a beautiful investment for life. 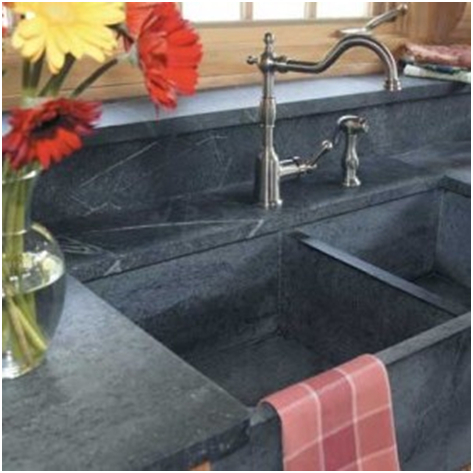 Aesthetic value: When it comes to any soapstone countertops, no 2 slabs are ever the same. The one that you have decorating your kitchen will never be duplicated in any other home. 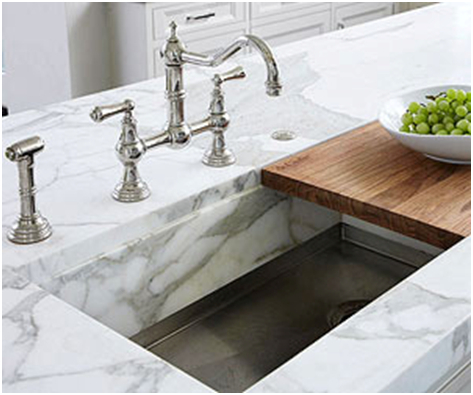 Your countertop will become a personal treasure and will grow on you as it ages. The color of the stone can vary depending on the area that is coming from. The colors can range from an almost pale green to a light gray and if you choose a slab that comes from Brazil, you'll often see the same type of veining that you'd find in fine marble. You'll have the option of applying mineral oil to soapstone countertops to darken the look or you can keep it looking natural and avoid the oiling process completely. Mineral oil does not have to be applied and you'll have the choice between a lighter and a darker countertop based on your own personal preference. Its natural beauty makes it blend in perfectly with older traditional homes and cottage style houses but you'll find it also appearing in higher-end luxury homes. Workability: Modern kitchen with a soapstone countertop and a touch of country flair. With soapstone you don't have to worry about taking a pot from the stove and putting it right onto the counter. This stone won't get damaged from heat and doesn't stain. It's a lot easier to cook with a soapstone countertop since you won't have to worry about spilling things or placing hot items on it. The only other type of counter that can compete with it when it comes to workability in the kitchen is one that is made of stainless steel. Density: They are are non-porous so it will never absorb liquids. Spilling a glass of red wine on the counter is not a problem and any acidic liquids can be wiped right off as well. This type of stone is so dense that no type of sealant is required at all. You can only oil the countertop but this is only done for aesthetic reasons. Textures available: You can order them with different textures and you don't have to settle only for a high-polished finish like you would with other stones. Whether you want it to be slightly rough or completely smooth, this stone can be refinished according to your preference. No matter what texture you choose, you'll love the way it feels soft to the touch without compromising on durability. How it ages: You'll find that they age well and can last for many generations. If you get any scratches, you can either leave them as a part of the natural patina or you can sand them out to restore the initial integrity of the stone. Consistency: They are the softest of natural stone worktops that you can get, and that is one of the reasons why many people don't want to invest in it. Yes, it will scratch and dent easier than other types of kitchen work surfaces but fortunately these problems can be handled with a piece of sandpaper, mineral oil and a rag. There are varying degrees of softness so you'll want to choose a piece of stone that is harder than the others. Here's a great tip to keep in mind. In general, the stones with greener shades are usually softer than the ones that are mostly gray. Surface texture: As mentioned above, you'll have your choice regarding the type of surface texture you'd prefer. It's best to choose a smoother surface since the natural roughness can scuff China and glassware. Regular maintenance: Some people prefer a hands-off approach when it comes to maintenance of a kitchen counter. If you want the surface to darken evenly you'll have to oil it regularly to have this effect. If you're not at all interested in any maintenance and don't want to enjoy the natural look that comes along with normal wear and tear, you'd be better off with a stainless steel or a quartz countertop. Some people just aren't a huge fan of dealing with mineral oil that is greasy and can get on your clothes. With a quartz or stainless steel countertop it's a set-and-forget type of deal. With granite, you'll only have to apply sealer approximately once a year to keep it sleek and shiny. Limited selection: When it comes to this stone, your selection of colors and patterns is going to be extremely limited. If you're looking for something trendy and colorful, you won't find it with this stone. One of the best things that you can do is find someone that owns this kind of countertop and has had it for a few years. This way, you'll be able to see for yourself what you can expect in the future from this type of stone and whether or not it will serve as an enhancement to your kitchen.